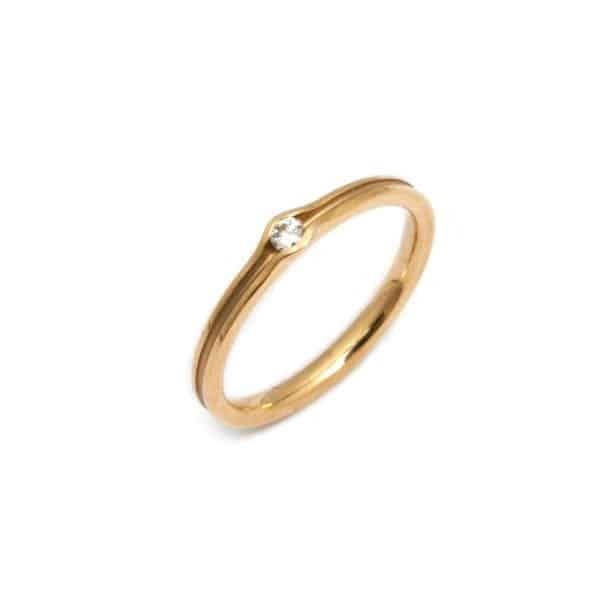 Enchanting grooved ring in rose gold sporting a warm cognac diamond – lovely on its own or stacked. We thought you would like to know has been eyeing up our 18k Rose Gold Cognac Diamond Stacking Ring for some time now and has requested we bring it your attention. 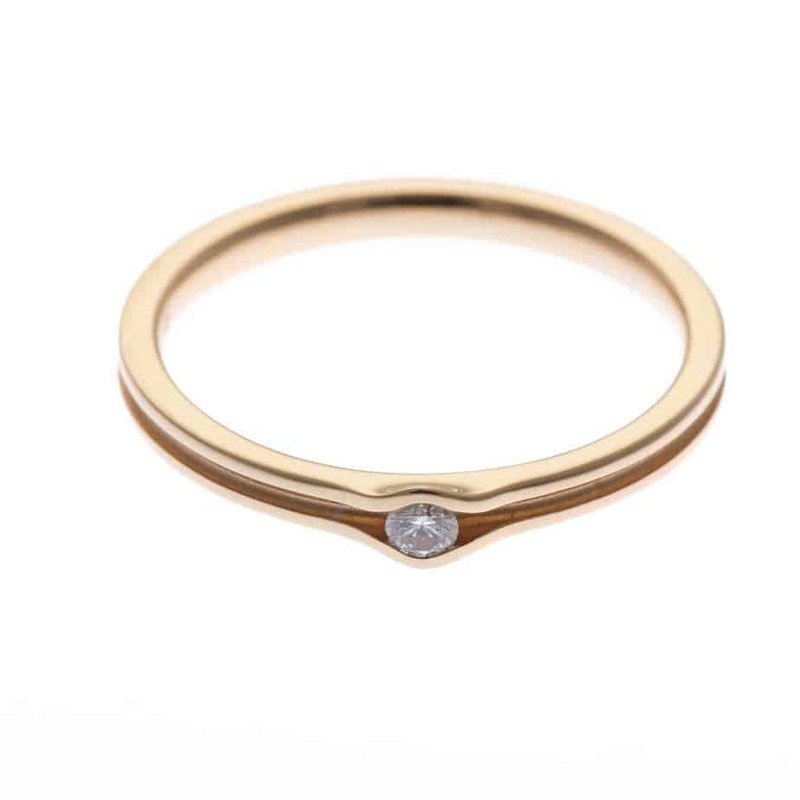 What's your question about 18k Rose Gold Cognac Diamond Stacking Ring? 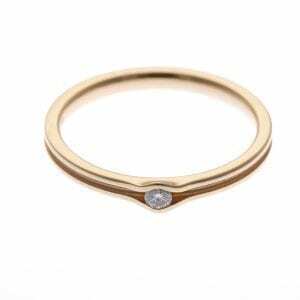 A dainty ring made in 18k rose gold and set with a round brilliant cut diamond. The groove detail adds interest to the overall design. This is a ring can be worn on its own and sits well beside other rings. Stack it alongside with its yellow and white gold sisters for a modern take on the classic Russian wedding band. Ring Size: M. Band Width: 2mm. 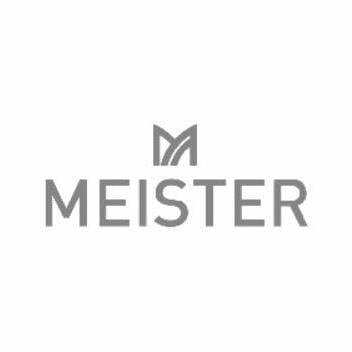 Setting Diameter: 3mm. Band profile: Flat Court.